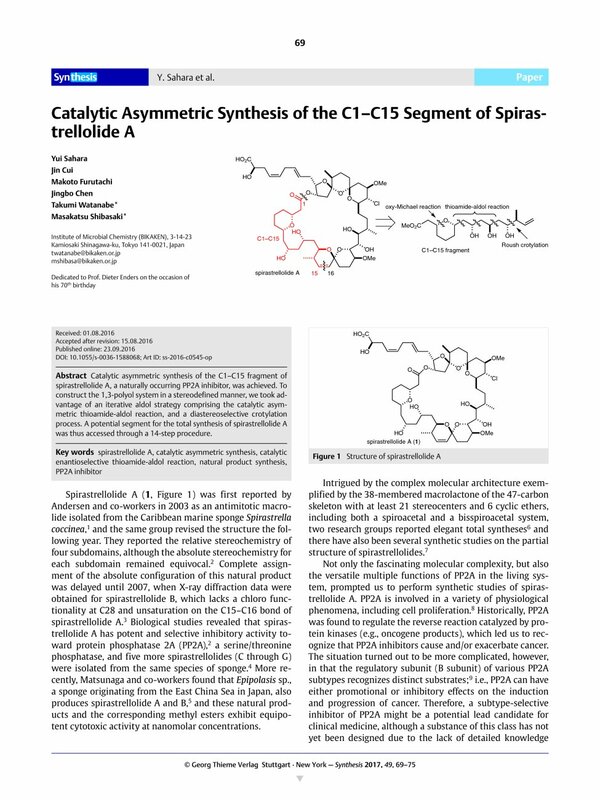 Catalytic asymmetric synthesis of the C1–C15 fragment of spirastrellolide A, a naturally occurring PP2A inhibitor, was achieved. To construct the 1,3-polyol system in a stereodefined manner, we took advantage of an iterative aldol strategy comprising the catalytic asymmetric thioamide-aldol reaction, and a diastereoselective crotylation process. A potential segment for the total synthesis of spirastrellolide A was thus accessed through a 14-step procedure. Supporting information for this article is available online at http://dx.doi.org/10.1055/s-0036-1588068.